Why Choose the Mechatronics Program? Mechatronics is a multidisciplinary field combining mechanical, electrical, telecommunications, control and computer engineering and focusing on the design and production of automated equipment. Trained mechatronics professionals design and drive the future of industry, as mechatronics systems form the backbone of every computer-controlled machine and sophisticated consumer product. 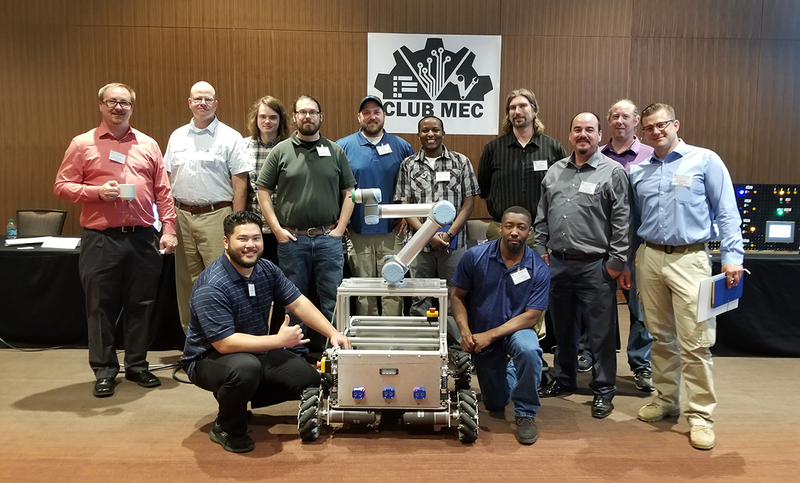 The interdisciplinary nature of CPTC's Mechatronics program prepares students for roles as mechatronics technicians or engineers in a wide range of career fields. Graduates gain experiences that cross different disciplines and prepare for a rapidly changing economy with the help of CPTC's dedicated faculty and latest industrial equipment. Students acquire work-ready practical skills as they move towards a specialization such as robotics, agricultural automation, PLC programming, control systems, smart infrastructure or industrial automation. Mechatronics is a cutting-edge, multidisciplinary field that provides a vast array of career opportunities. Graduating with an associate degree in mechatronics makes you valuable to regional employers. Here at CPTC, you will earn credentials that can help you land a job in one of today’s most in-demand fields. Understand the necessary steps to plan, execute, and control a mechatronic system. Program, calibrate, configure, test, start up, and operate a mechatronic system. Understand mechatronics as the integration of multiple disciplines in industrial processes. Identify major application areas for mechatronics. Apply mechatronics in various manufacturing, scientific, and technical applications. Research and apply emerging and future mechatronics technologies. 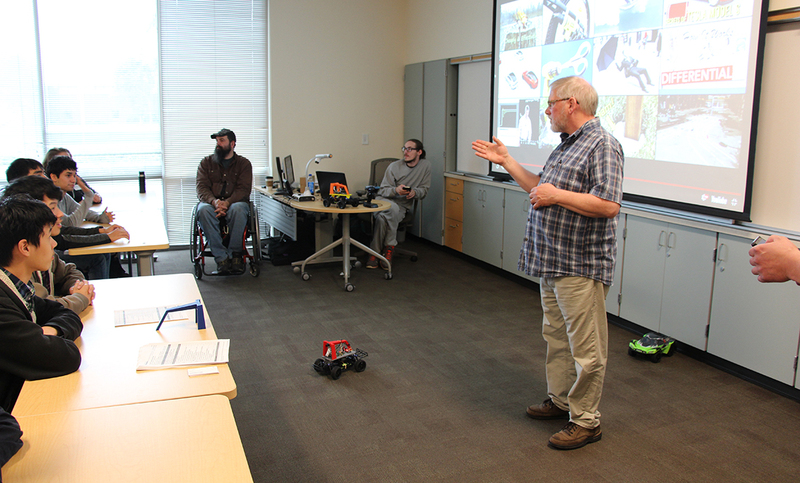 Mechatronics Program Information Sessions are hosted in Building 25, Room 103, at 3 p.m. on the second and fourth Wednesdays of the month. For more information and a complete schedule of session dates, click here. 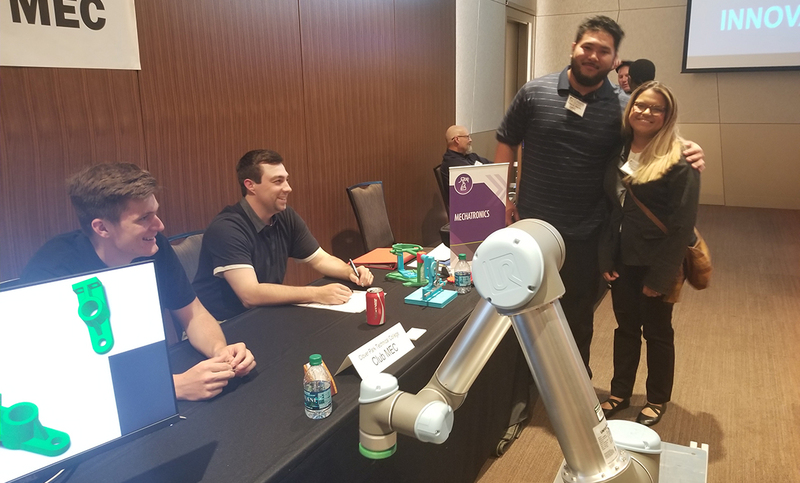 Innovating for Our Future: Products, Processes & Technologies" was the theme of the 2018 Center for Advanced Manufacturing Puget Sound (CAMPS) Conference held Thursday, June 7, in Bellevue, so it was fitting that CPTC’s Mechatronics program was highlighted at the event as the region’s leading two-year college program in manufacturing.